EASTERN Pa.– U.S. Small Business Administration Eastern Pennsylvania Director Antonio (Tony) Leta has officially introduced SBA’s Pennsylvania Small Business Development Center Excellence and Innovation award winner, Kutztown University Small Business Development Center. 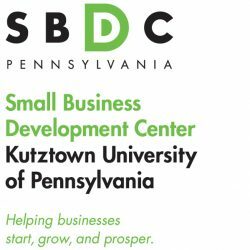 The Kutztown University SBDC’s mission is to provide entrepreneurs and small business owners with the knowledge needed to make smart decisions and prosper in Berks, Chester, Dauphin, Lancaster and Lebanon counties. Employing a full-time staff of professionals, the SBDC’s business consultants have impressive credentials and practical experience with every stage of business from start-ups to thriving, established businesses. The SBDC offers existing businesses and early-stage entrepreneurs access to no cost, confidential consulting services and learning opportunities at outreach offices in Kutztown, Reading, Harrisburg, Exton, Lancaster, and York.Kutztown SBDC is part of a state-wide network of colleges and university centers which is a joint venture of federal, state, and private sector agencies and organizations including the US Small Business Administration and the Pennsylvania Department of Community & Economic Development. Each agency, along with Kutztown University, contributes to the financial support of the program. · Colorfin of Kutztown, PA has been assisted by the KU SBDC with financial loan preparation, exporting assistance, primary market research through a senior level marketing class and ongoing strategic planning support including its digital media strategies. Colorfin recently won the SBA Exporter of Year Award and continues to grow internationally with continued export and digital media assistance from Kutztown University SBDC. · Kutztown University SBDC has been a leader in reaching under-served populations, and in particular providing services specifically targeted to the large and growing Latino business population in its region and was twice-recognized by the Berks County Latino Chamber as “Partner of the Year” for its work in the region to promote and support Latino entrepreneurship. · Kutztown University SBDC launched the Latino Business Resource Center as part of the SBDC program, was recognized by SBA for its innovative leadership providing online resources to early stage entrepreneurs and with the U.S. Hispanic Chamber of Commerce President’s Award for its leadership in support of Latino entrepreneurs. · Kutztown University SBDC has also supported the SBDC network in a number of other ways, providing leadership to the network’s international business team and translating key client materials into Spanish. · Kutztown SBDC provides Defense Logistics Agency-supported government marketing services to help clients in expanding and diversifying their sales and further supports client sales growth with Search Engine Optimization services to enable businesses to be more effective in selling online. One of 18 Small Business Development Centers in the Pennsylvania SBDC Network and an accredited affiliate of the national network of Small Business Development Centers, the SBDC provides consulting services and educational programs to entrepreneurs looking to start or grow their small business. SBDC consultants may work with entrepreneurs in confidential, one-to-one sessions to help them with a range of business issues including testing a new business proposition, shaping a business plan, investigating funding opportunities and much more. SBA’s Pennsylvania Small Business Development Center Excellence and Innovation award winner is selected annually from among nominees located across Pennsylvania’s eastern 40 counties. These events are local observances of the annual Presidentially-designated National Small Business Week. National Small Business Week recognizes the small business community’s contribution to the American economy. SBA Eastern Pennsylvania Director Antonio (Tony) Leta presents Small Business Week Awards at the annual “SBA Awards” event May 15. For more information about attending the ceremony, visit https://bit.ly/2GFugdT. SBA’s Eastern Pennsylvania Small Business Development Center Excellence and Innovation award winner is selected annually from among nominees located across Pennsylvania’s eastern 40 counties. These events are local observances of the annual Presidentially-designated National Small Business Week. National Small Business Week recognizes the small business community’s contribution to the American economy. Learn more about National Small Business Week at https://www.sba.gov/national-small-business-week.